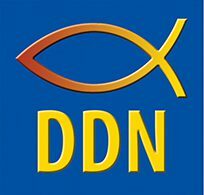 Welcome to the Digital Disciple Network website. We started Digital Discipleship in 2011 with the mission to bring technology training to administrators, religious education teachers, principals and church staffs. Although we began teaching in a face-to-face format, we soon adapted to a fully-online training format. As our participants graduated, our network of experts grew. Now Digital Disciple Network encompases states and countries all over the world. Would YOU like to be a part of the Digital Disciple Network? Let us know you are interested by filling out the information form below. We will be in touch with you soon.